Celebrate National Poetry Month with this broadside from our latest issue, “Rivals & Players.” Or scroll down to read the poem in plain format. home. His son found them there, after. would have held back, waiting, to see. 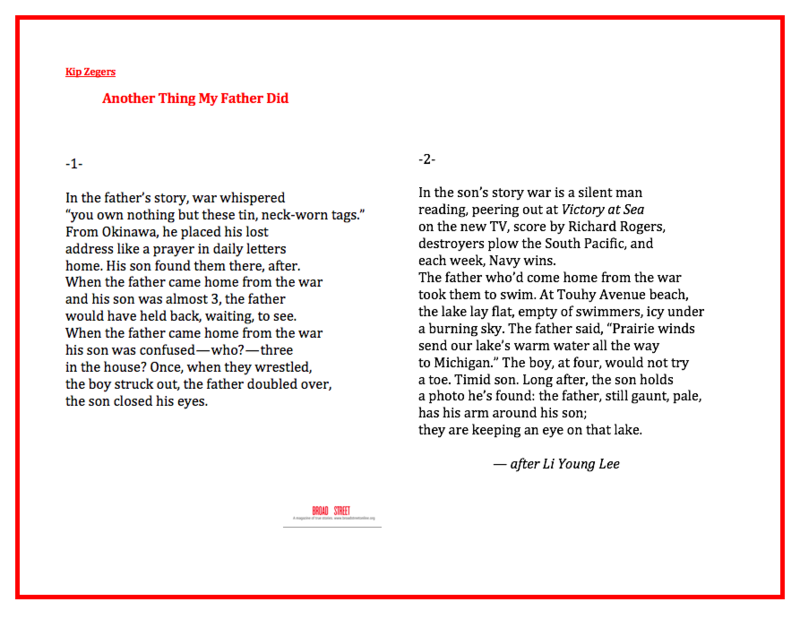 the son closed his eyes. Kip Zegers’s book, The Pond in Room 318,was published by Dos Madres, and he has written about poetry and and about speaking truth to power for The English Journal. Previous post“Reenactors.” A photo essay by Chad Hunt. Next postThey're here! 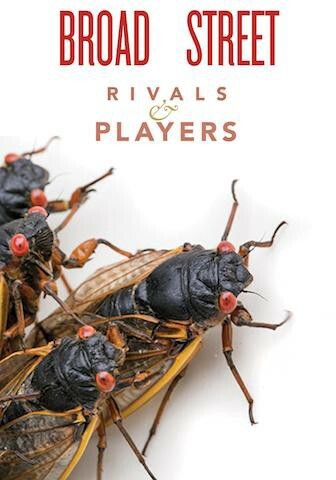 Presenting "Rivals & Players," our Winter 2019 issue.